Reporting to the Manager, Commercial Projects of the LNG & NGT Services Dept. This position is responsible for providing leadership in effective financial and functional assessment, high level project coordination, and operational support for the implementation of Industrial LNG and NGT projects through the entire project life cycle. Provide financial, technical and operational leadership in the effective planning and execution of LNG and NGT projects to meet strategic objectives. Oversee project design and development to ensure stakeholder requirements are successfully implemented in consideration with overall project safety and functionality; including special attention to end users such as operators and technicians. Establish and maintain effective working relationships with customers, industry stakeholders, contractors, government and other utilities. Provide input and review project planning documentation including engineering documents, specifications and drawings, budgets, quotes, schedules, feasibility studies, RACI matrices, risk assessment reports, and contractor work scope packages. Coordinate project phases to ensure they meet established scope, schedule, quality parameters, and budget. Lead vendor and contractor selection and manage project financial resources with Procurement and PMO, taking into consideration the opinions of internal and external stakeholders. Perform site visits to track progress and inspect quality control of construction and manufacturing projects. Facilitate the efficient coordination of key task items to successfully meet project milestones by liaising with stakeholders. Oversee all aspects of projects including asset design and construction. Provide high level support services to the Site Supervisor for safety, resources and key decision making. Coordinate required inspections and applications for safety regulatory permits and approvals. 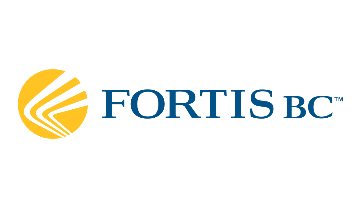 Liaise with FortisBC OH&S, customers, contractors and manufacturers to develop technical and safe working procedures for contractors, end users, and operation and maintenance (O&M) activities. Assist with emergency response planning by implementing the site specific requirements of unique customers and assets. Support end user training, including the development, coordination and execution of training plans and materials. Bachelor’s Degree in Business or Engineering from an accredited University plus 5 to 10 years of LNG and NGT project development experience including design, construction and/or other project coordination activities as well as business development experience, preferably within a regulated environment. Peng, EIT, MBA or Project Management Professional designation is an asset. Well-developed interpersonal and communication/presentation skills. Demonstrated ability to work with multiple stakeholders; both internal and external. Skilled in the use of computer equipment and applications including spreadsheets, database and word processing products. Demonstrated ability to prioritize and organize multiple projects. Demonstrated ability to apply judgment and creative thinking in decision making situations. Demonstrated ability to be effective when working independently or working on a team. Demonstrated ability to adapt to changing priorities and work environment.